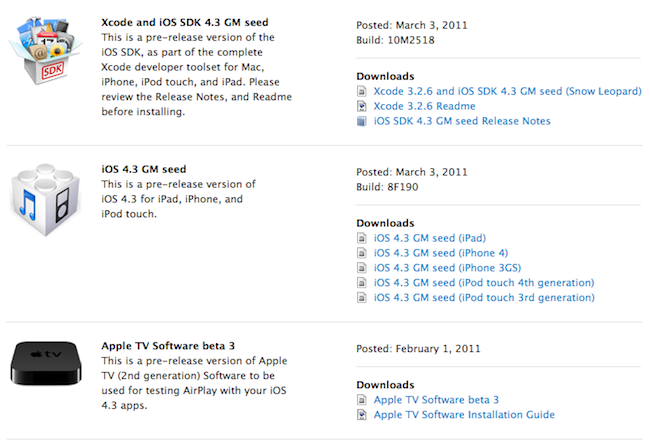 A few minutes ago Apple seeded the GM seed of iOS 4.3 to developers. It’s available now in the iOS Dev Center. Build number is 8F190. Updated versions of the iOS SDK and Apple TV pre-release software have been released as well. We will tell you what is new in iOS4.3GM. This release of iOS4.3 is almost the final one and the public one will be coming on 11th March. So stay tuned.